This week annual bluegrass weevils (ABW) came home to roost on the Rutgers Turf Farm in North Brunswick. 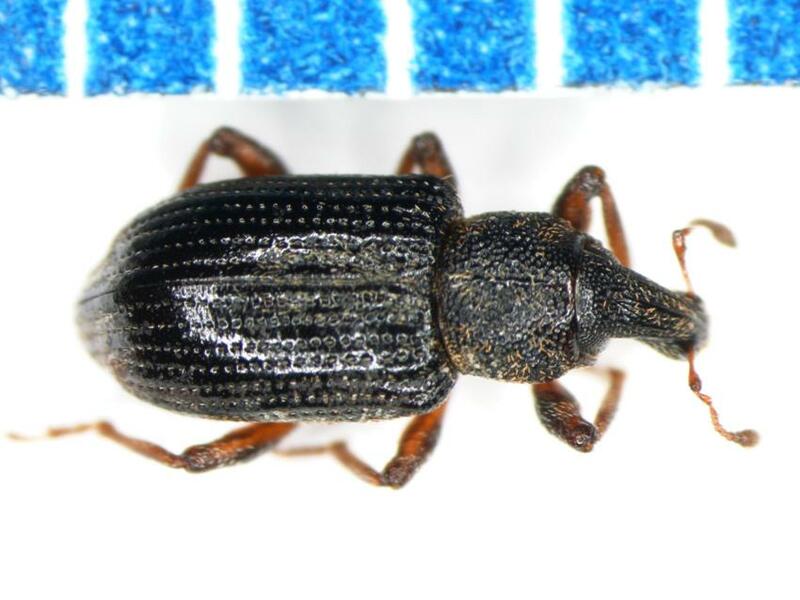 I am quite sure they have been rooting around here for some time – I’ve heard reports of adult weevils in pitfall traps as early as late-February – but enough of them appeared on Wednesday to get the attention of the graduate students and farm staff working the plots. 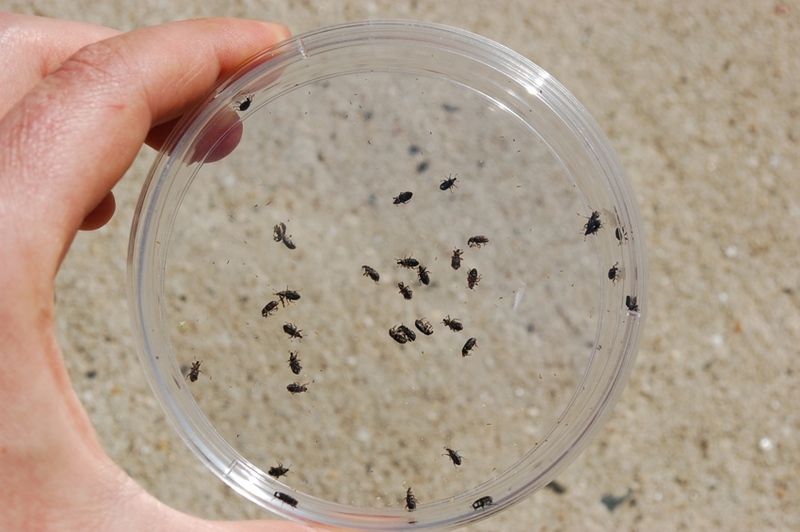 While we can debate the effectiveness of the various monitoring methods for ABW and the efficacy of each of the labeled insecticides, there is no doubt that if you are not paying attention to these critters, they will cause a whole lot of pain and suffering for you and your turf. There are a lot of tools available to predict and monitor weevil activity, but I like to keep it simple. Plant phenology is the use of signal plants to predict insect activity and fine-tune treatment timing. 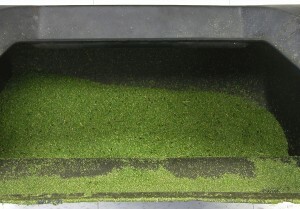 Plant managers can relate seasonal occurrence of pest stages to developmental stages of certain plants. 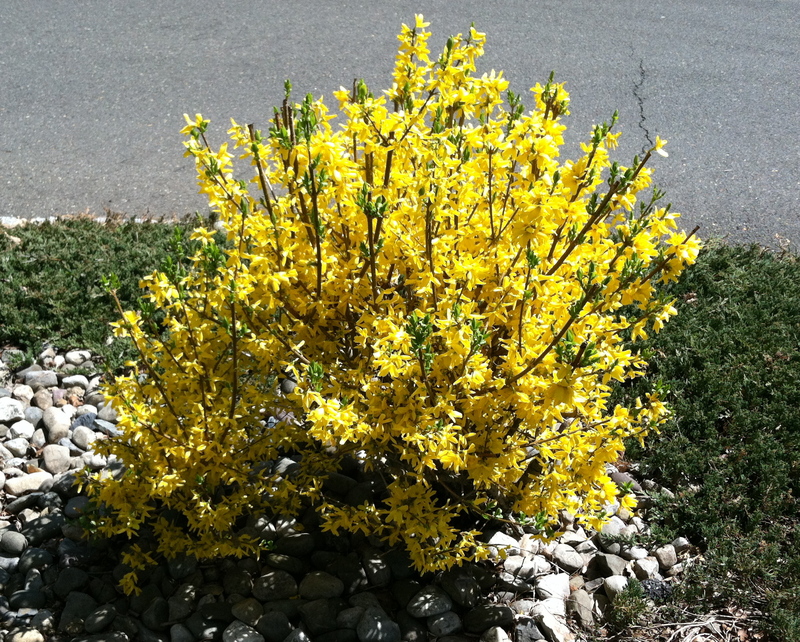 With our ABW, forsythia is an excellent indicator that the larger spring migration has begun. By the time we get to the bloom period for redbud and dogwood, the window is closed for insecticide treatments targeted against the adults. Ignore the signs of spring at your peril. 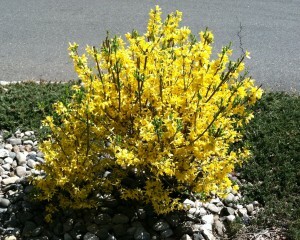 Once the forsythia begin to bloom, check your clippings baskets to see if our little friends have arrived! For more information on annual bluegrass weevil biology and control, try this link.